While the terms kindergarten, school and university immediately trigger a firm picture within us, the concept of adult education first has to be explained in order to possibly generate an image. The term – and with it a possible adult education brand – must be defined at its core in order to be able to position adult education at all. This includes the definition of the concept and the characteristics that make adult education what it is and also make it unique. 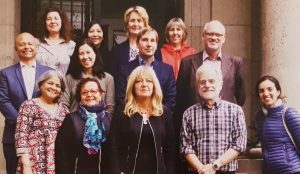 A workshop by the UNESCO Institute for Lifelong Learning in Hamburg/Germany, 1-2 October 2018, gave ICAE and other participants the opportunity to take a role in the discussion.